Through the invitation of Micamyx, fellow travel blogger who hails from Dagupan, a bunch of us bloggers went to the northwestern province of Pangasinan to enjoy and discover what this beautiful place has to offer. 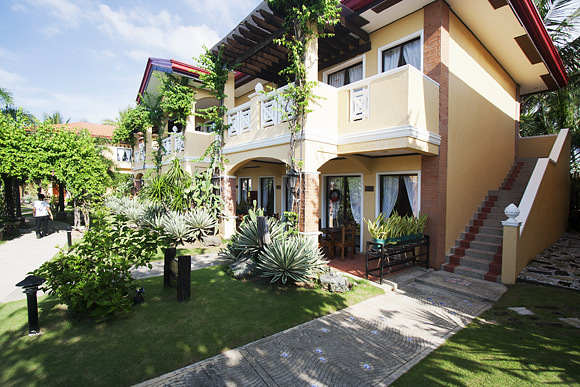 There were two hotels where we stayed at when we visited Pangasinan during this time: Puerto del Sol Beach Resort and Hotel Club in Bolinao and Islandia Hotel when we were in Alaminos. Bolinao, the westernmost municipality is known for its beaches and waterfalls. This explains, especially for the former, the many resorts found which is popular not only with locals but even those coming from other provinces and Metro Manila. One of the best resort-hotel there is this one. Puerto del Sol is just beautiful. Period. Well appointed beachfront with comfortable rooms ranging from suites, villas and cottages encircling a large circular pool with massage areas. Each type of accommodation is well decorated with native materials and have good amenities. While the villa type rooms have rather small toilets, its the bed that I like which is just very comfortable and conducive for sleeping. Outside, beautiful landscaped gardens form around the structures with a cemented pathway that leads to the different parts of the resort. Along the way are interesting tiles that captures one’s attention. Their premiere suite, the Bahay Kubo (interior shown above), is a two story structure that is patterned after the Philippine native house but hip and with modern amenities. Puerto del Sol also has good dining options but the best I had was having it al fresco at La Playa, at the beachfront with good vistas of the sea. Check their website for more details of rates, accommodations, services and package tours. Actually, I’ve stayed here twice already, the first time was during the first Lakbay Norte fam tour two years ago. It included a trip to the Hundred Islands National Parkand Alaminos is the entry point. A few minutes from Alaminos City center, Islandia Hotel boasts of having hosted, one of their first guests upon opening, candidates of the Miss Earth 2008. And this is proclaimed through photos at the lobby, at the hallway and even on the doors of rooms where the ladies slept. Unlike Puerto del Sol, this is just a hotel at a rather narrow lot along the highway. However, the rooms are comfortable enough with amenities (wifi is only at the lobby) that businessmen, their target clientele would find enough for their needs. The hotel has a buffet breakfast which includes Alaminos’s own longanisa which is really delicious and, of course, Pangasinan’s bangus. Check their website for more details of rates, accommodations, services and package tours.